I am now one step closer to having seagurs.com back in my possession. 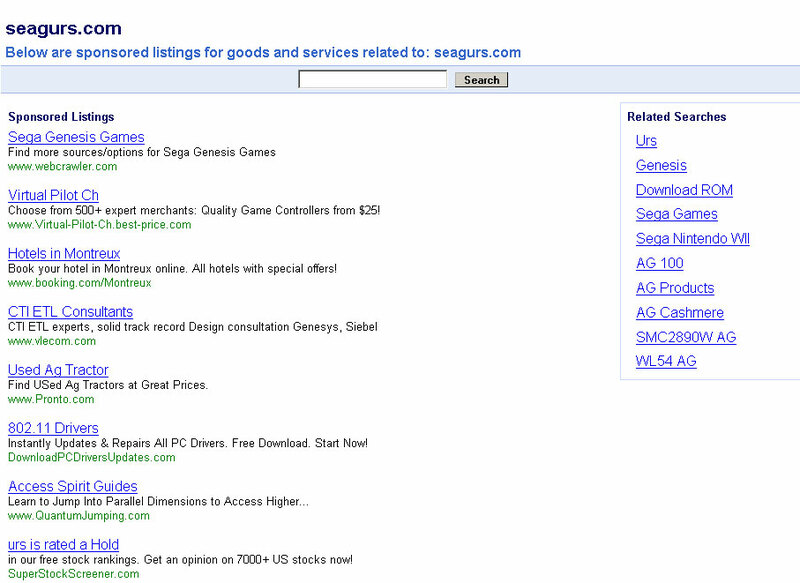 I have debated a lot about what I would do to regain seagurs.com. I contemplated spending the $50USD to 1and1 to retrieve the domain out of the Redemption Period, or just forgetting about it completely. Ultimately I decided to ‘back ordered’ the domain through GoDaddy and see what would happen. However, when I suspected that GoDaddy wasn’t going to successful secure my domain I found a domain auction and entered a bid into that. I felt kind of odd bidding on a domain I had owned for years, but seeing the advertisement parking on the site made me realize how much I would hate it if someone else had control of my former identity and the least I could do was try to secure it through another method. I won the domain auction without hassle, and to my surprise ‘back order’ from GoDaddy did not help in the process. I paid my $9.00 for the domain bid and now with the WhoIs updated to show that I control seagurs.com I can rest a little easier. Unfortunately I am still not out of the woods yet. Now I began the steps of transferring the domain over to GoDaddy and then maintaining it from there. Until I can complete the domain transfer, which may require me to wait 60 days because I just bought the domain, the advertisements on the site will stay. Even doing a domain redirect with my temporary registrar would set me back $25USD which is too much for that 60 day period. It has been a long road back to recovery but I can see that the end is in sight.